Take advantage of the opportunities and benefits provided by employer partnerships. 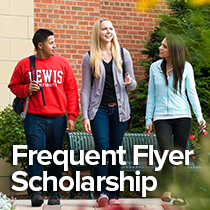 Lewis University is proud to offer discounts on tuition through its partnership programs. Partners include those in the private sector, not-for-profit, institutions and government. *Not all programs are eligible for a discount. Discount does not apply to the MS in Occupational Therapy and certain 100% online graduate programs. Discount does not apply to already discounted programs, including Teacher Endorsement Programs, RN-BSN and the undergraduate degree in Criminal Justice online or in partnership with Moraine Valley Community College or College of DuPage. Please verify program eligibility with your Admissions Counselor. For a list of education degree programs available through school district partnerships, visit School District Partnerships – Degrees in Education. For a list of healthcare degree programs available through healthcare organization partnerships, visit Healthcare Organization Partnerships – Degrees in Healthcare.